If you are a small to medium-sized business, cost efficiency is very important. At Tiecom, we understand that a properly functioning telephony system can mean the difference between winning and losing a customer. You can count on Tiecom to provide a telephone solution that won’t let you down. We provide communications technologies and products that are fully scalable to grow with your business. We make sure you have the best solution tailored to your needs and budget. 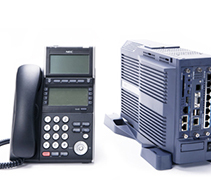 The SL2100 Unified Communications system is an entry-level communications platform. It lets you take advantage of the latest productivity-enhancing IP applications that can deliver increased performance throughout the organisation. The SL1100 will make your team more responsive and productive. Built-in conference bridge provides convenient options for meetings. 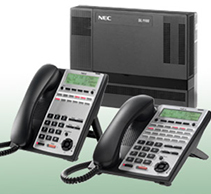 The SV9100 provides converged communications – data, multimedia and voice – over one network. You can also seamlessly link up to sixteen sites together so they can share resources and features. The SV9100 ideally supports between 10-100 handsets but can be extended up to 512 depending on your configuration. The SV9100 is perfect if you are a small to medium-sized business, looking for a simple, scalable and cost-effective solution. Great return on investment with an easy transition to new systems and support for your existing traditional technology.